With his latest film, Gone Girl, opening this weekend to rave reviews (The A.V. 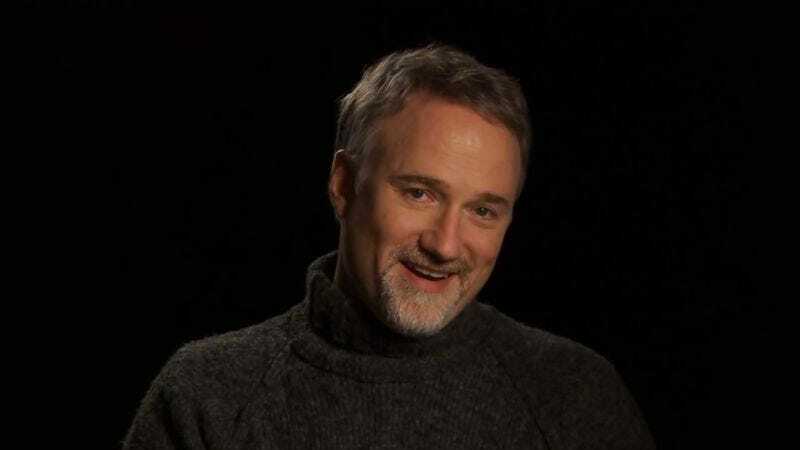 Club’s Ignatiy Vishnevetsky gave it an A- and calls it “cold, cruel and often very funny”), this is an opportune time to reflect on the filmography of David Fincher. In his Every Frame A Painting series, Tony Zhou examines different elements of filmmaking—whether it’s a particular filmmaker (like Edgar Wright or Michael Bay), a specific film (like The Imposter), or even a trend in moviemaking (how texting and the Internet are used) to appreciate some unique aspect that is being brought to cinema. These in depth analyses show a lot of attention to how films are shot, edited, and what stylistic flairs various auteurs bring to all of their projects. In creating these meditations on blocking, camera positions, and recurring themes in the works of great filmmakers, Zhou is delivering great film school lessons in five- to eight-minute chunks. Zhou’s latest installment focuses on the work of David Fincher—from Alien 3 through House Of Cards—and uses one of the filmmaker’s own quotes as a jumping off point. Fincher once famously said, “People will say, ‘There are a million ways to shoot a scene’, but I don’t think so. I think there’re two, maybe. And the other one is wrong.” With that in mind, Zhou looks at how controlled Fincher is in his camera placement and (rare) usage of handheld in order to better control the story he’s trying to tell on screen. By using clever staging to reflect the power struggles or convey what’s the most important information being presented in a scene, Fincher is able to wordlessly underscore the themes and characters of his projects. These practices have led many detractors to say he’s cold or removed from his subjects. But, as Zhou’s video reveals, it’s an aesthetic that belies a strong understanding of the language of film and the emotions that a master filmmaker can evoke through editing and blocking (even without dialogue).